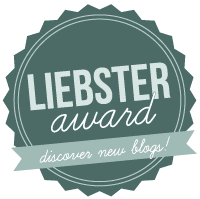 I've been nominated for a Liebster Award by that Grumpy Elf hunter over at the aptly named The Grumpy Elf. Thanks for sending this over my way. So lets get on with them questions. What is your favorite expansion of warcraft and why do you think its your favorite? Wrath of the Lich King would have to be my absolute favorite. I started with WoW a few months before BC. This meant that my friends already had max level characters that were actively raiding. I wasn't able to really participate with them at all. Most of BC I was trying to catch up. I did finally get into a little raiding at the end, saw Karazhan at level, but again, most my friends had already maxed out and they were running these raids on alts! In Wrath, I was finally able to catch up, and was raiding with them at level, when appropriate. I completed at level ToC and ICC. Never progressed very far into Ulduar (cat lady I think), but plan to go back solo for the mount. What is your favorite fantasy book of all time? (fantasy, sci/fi, horror, they all fit)? Ok, instead of picking one, I'd like to provide you with 3 books that I thoroughly enjoyed. Each of these books, encouraged me to keep reading the entire series by the author. (click on covers to see book on Amazon). Imagine what would happen if the developers at Blizzard went crazy and up on their death unleashed video games into the world. If you could make one change to warcraft what would be it? This would be a tough one to change , but I'd like to get rid of the stigma against 'casual' players. Serious raiders burn out. They quit playing when they don't like how the game is progressing. They get 'bored' when new expac doesn't come along fast enough. The casual player keeps Blizzard employed by 'alway' finding something to do in game. We realize that family and friends come first, so there's none of that stress associated with playing the game. "Sorry honey, the raid team needs me on at 6PM; I can't help the kid with their homework." Where would you have your character/(s) call home? Kirin Tor to the RESCUE! Hmm, Dalaran seems nice. It's a bustling city in the sky. Maybe if we encouraged the mages, they could move the city over to the beach! Hey look at those Borean Tundra sunsets! Think about it, those Dalaran mages could totally be like superheroes, flying their city wherever there's a problem. Have you ever met anyone in real life that you met online first? Yes. Now I work with him. I started playing the game on a friend's suggestion. He knew a husband and wife who also played. I joined their guild. Not long after, the husband started working with me at the same employer. If you could add one race not currently in game at all to the game as a playable race, what would it be? This is difficult. I believe both factions need more beast type players. Worgen are interesting, but nothing more than a human reskinned. Same with undead, aka the sentient zombie! Tauren, draenei goblin, pandaren, all interesting races. Personally, I'd like to see a playable centaur class (which is already in the game). 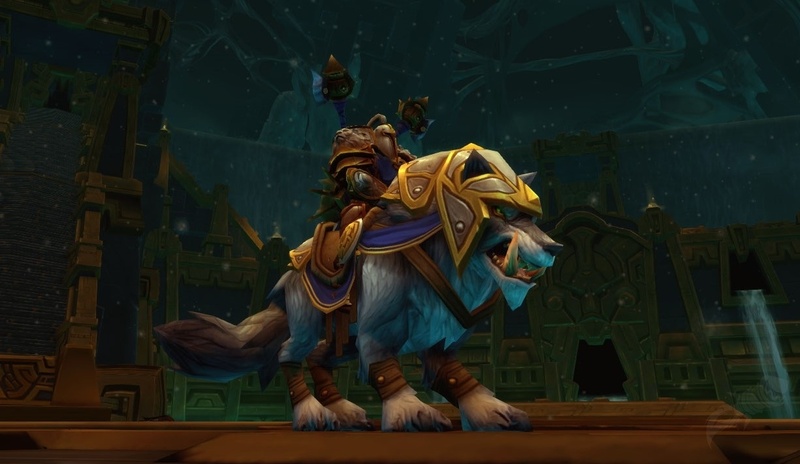 Run speed buff like the worgen, or tauren.. You're already part horse, so maybe mounts are out of the question. Maybe rideable like druid stag form. Problem being how would you fly with such a character? Horsey riding a taxi would look ridiculous. In fact, if the race isn't bipedal humanoid, it would look silly riding taxis, and most mounts. What inspires you to write a post? Everything does at one point or another. I spy something of interest. I've just completed research on a topic that I want to work on at home. I was bored at work and simply want to write something down. I don't typically write posts THIS long, it's too much concentration and effort. This post has so far taken me 3 days and I still have work to do. What other types of games do you like? I like to play co-op FPS type games. I am not really into the stealth and dagger, but more the blast everything. I really get into the game if there is a CO-OP element that I can play with friends. Sadly, as we learned the other night, it's really hard to game with me because of the baby in the house..
Bioshock Infinite is a fun story driven game. If I understand correctly, it's a prequel to the earlier Bioshock games. Variety of guns, plus elemental powers that create some fun mechanics when fighting bosses near water, or explosives. Dying Light from the makers of Dead Island. I like to tell people this is a zombie Assassin's Creed game. You're majority of game play is parkour running along the tops of buildings and killing zombies. I am currently playing this co-op with the guildies. Interesting mechanic of this game is that you can upgrade your weapons. Have baseball bat and nails? Make a mace! The Borderlands series are great games. Another co-op friendly FPS, with a sense of humor. Not quite something you'd want the kids watching you play. Lots of different guns, some do crazy things like shoot swords, or chickens, or fireballs. Do you snack while gaming, if so, on what? Not regularly. Since I am playing mostly at night, I like sweet dessert type treats. Favorites would be peanut butter granola bars or cookies, dry cold cereal (yeah the kid kinds like apple jacks or cinnamon toast crunch), and sometimes (apple or peach) pie, if we have it. If you were stranded on a desert island with three CDs and they were the only three you would ever have, which ones would you bring? (no greatest hits or live, only standard release) If I was stranded on an island, I wouldn't want any music. Music get's stale for me rather quickly. Here in the office, I am usually listening to streaming music from Songza or Digitally Imported. 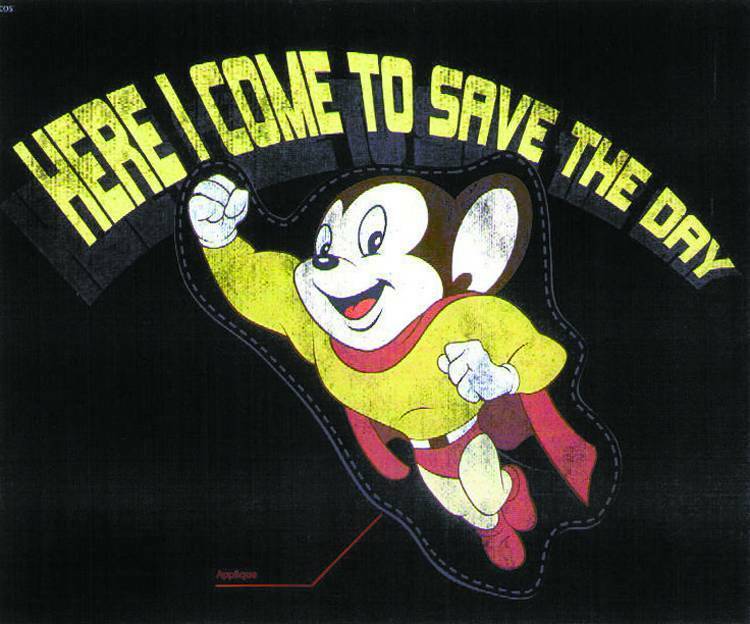 While working, I like upbeat, fast tempo music that doesn't contain lyrics; so I am usually listening to trance channel that is constantly updated. Home, with the kids, I am typically playing a teen pop music or something off my daughter's approved playlist. On an island, that's too much like camping. While outside in nature, I don't want any music. It offends me when camping and I have to listen to someone near me with the radio playing. It's NATURE! Listen to the birds and animals, darn it! What is your favorite lore moment and how would you inject your main character into that story? I am intrigued on Lady Sylvanas' story. Based on some of the backstory that was introduced in the latest War Crimes book, I think she has a lot more to tell. I remember running the short 'scenario' back in a previous expansion, when we storm Lordaeron. I don't know if that quest still exists after the area has been revamped, but it was a fun event. Like the Sculling of Scholomance, I'd like to see more of the story about Sylvanas and the undead coming into place. I've been dating-married to my wife for over half my life. We met in high-school and have been exclusive ever since. I am the dad of three kids. When my oldest daughter graduates from High school (grade 12), my son (middle) will be 'graduating' from middle school (8th grade) and my youngest daughter will be finishing Kindergarten (pre-1st grade). As a teen, I climbed to the top of Mt. Shasta! The third highest peak in California (at 14,179 ft / 4,322 m). This was my second attempt, but my dad's 20-something climb to the top. I tried to climb it again in my thirtys, but my post-college body wasn't fit enough to make it. Only made it to the 'heart'. I've had three different cars in the 3 decades since I started driving. I drove the Civic for 14 years, PreRunner for 4 years and now 4Runner for 11 years. Both the Civic and the 4Runner were/are blue and have had their engines replaced. The Civic finally died because of a lack of engine oil, had a leak causing me to refill it daily. The PreRunner was great, until we had 2 kids. No real backseat. The 4Runner is now my kid-friendly car. I can wiggle my ears. Promise "No hands!". My Great Uncle Art taught me how when I was a little kid and it's stuck with me ever since. It's a nifty trick that I'd hope one of my three kids is able to pick up some day. I've been hired for a contract position because of something I posted to one of my blogs. A couple of years ago, I posted a script that I wrote that solved fairly complex Sudoku puzzles. The job had nothing to do with writing scripts, but the employer liked it enough, that he gave me a chance. I am most proud of my warlock for the achievement [Did Someone Order a Knuckle Sandwich] when weapon skill was still a thing to level. This legacy achievement required Elkagorasa to go out and punch people. Yeah. Punch, slap, hit. 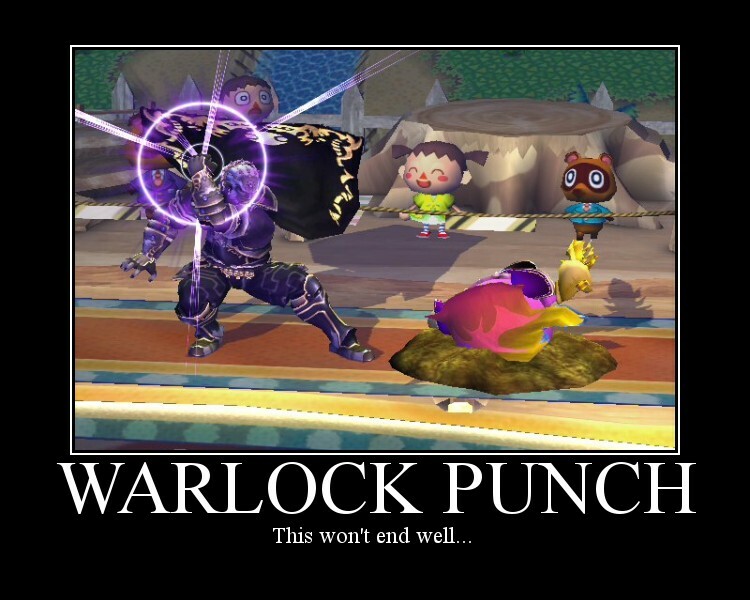 Warlocks are not that type of fighter. We cast, we wand, we stand back at a distance and let someone else do the physical labor. I don't love chocolate! I LOVE CINNAMON! Given the choice between a chocolate chip cookie and a cinnamon cookie (like a snickerdoodle), I'll take the cinnamon cookie first. Cinnamon roll before chocolate bar. Apple pie (with lots of cinnamon) over chocolate cake.. on and on.. Darn, now I am hungry for a snack. I am one of those 2.7% of smartphone users that have a Windows phone. I've always loved the platform. My wife is a diehard iPhone user, I tried her phone, but have never really liked it. WP lets me create a start screen that is personalized to what I need. Instant access to email, calendar, texts, weather, twitter feed, my audible book of the week, news, and one touch to call my wife and daughter. That's only what I see immediately upon turning on the phone. Slide down and I see if it's my turn on Trivia Crack, glimpse favorite picture feed, instagram updates, facebook tags, and shortcuts to various music playlists (in car with 18month old, fire up the Wiggles). As for apps, there's everything I want. Based on news coming out this week, I anticipate tons of iOS and Android apps coming to the my phone with Windows 10. Exciting times. I miss sailing. Growing up as a kid, my parents signed my brother and I up for sailing classes at the local sailing club. It was a lot of fun to go out each Saturday and go around the estuary in the little El Toro sailboats. I, on the other hand, don't care for whale watching; last 2 times I got terribly seasick. Top it off, for a 3 hour tour, all I ever saw was a tail as the whale was diving back under the water. Woohoo! I live in California, but not that part that has earthquakes very often, or that part that is on or near the ocean, or even the part that see's snow. We have drive to it. Heck, going to Disneyland requires many long hours in the car. That didn't stop us one year from driving down there every 4 months (while we had season passes). Poneria aka Megan O'Neill, the warlock-class writer at BlizzardWatch - I've been a long time reader and commenter on your personal blog. Glad to see that you've made it professionally. Alt:ernative Chat - Your blog has popped up on my short list of WoW reading sources. Much more prolific on writing than myself, so I almost always have a back-log of stuff showing up. Arielle - I rolled a guardian druid as my boosted 90 and have been having a lot of fun with the class. Your posts on IncBear and WoWhead have been extremely helpful. Dusty Monk - I've just found your blog via our shared Twitter FF for the last few months. What is your favorite expansion of warcraft and why do you think its your favorite? What is your favorite fantasy book of all time? (fantasy, sci/fi, horror, they all fit)? What inspires you to write a post? What’s the origin of your blogging name? If you could make one change to Warcraft what would be it? If your character could be a NPC in the game, what would (s)he do? If you could cast the Expecto Patronum spell from Harry Potter, what would your Patronas charm be? What is your favorite lore moment and how would you inject your main character into that story?